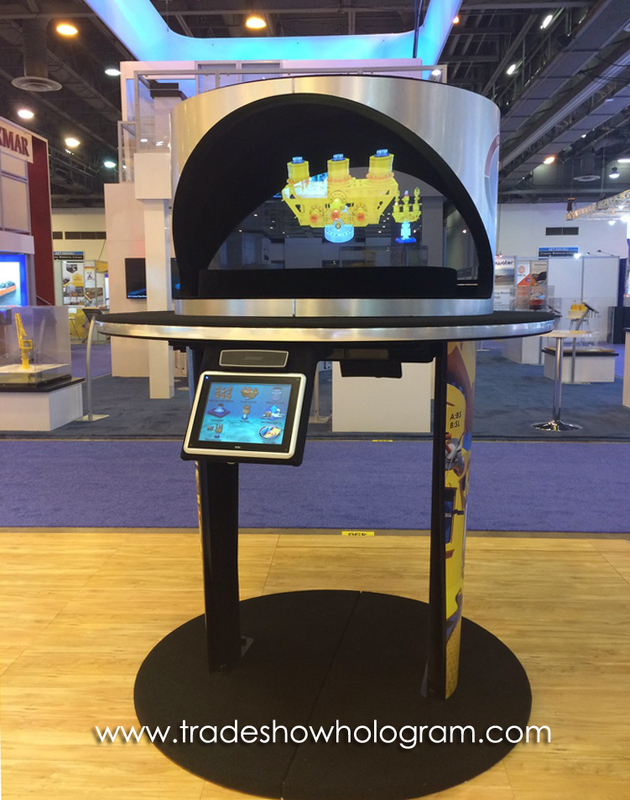 Trade Show Holograms Holographic 3D Display Kiosks are a popular eye catcher at trade shows across North America. Corporate Magician and Illusionist Timothy Drake developed the trade show illusion display that creates a 3D holographic projections floating in mid air. 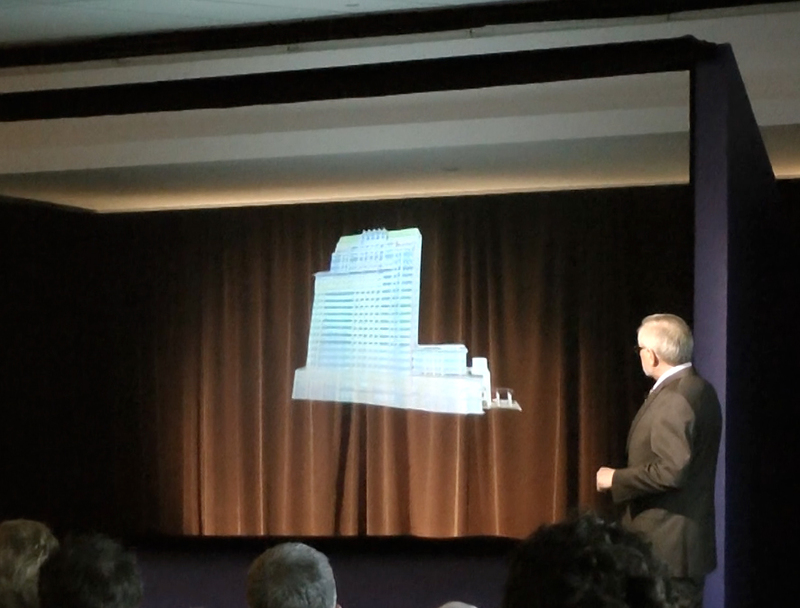 The hologram is not a static image but rather a full color video presentation. In 1999 Drake began using the holographic process to create lifelike ghosts in the Shriners Haunted Mansion and eventually downsized the effect by creating a portable version in the trade show holographic kiosks. 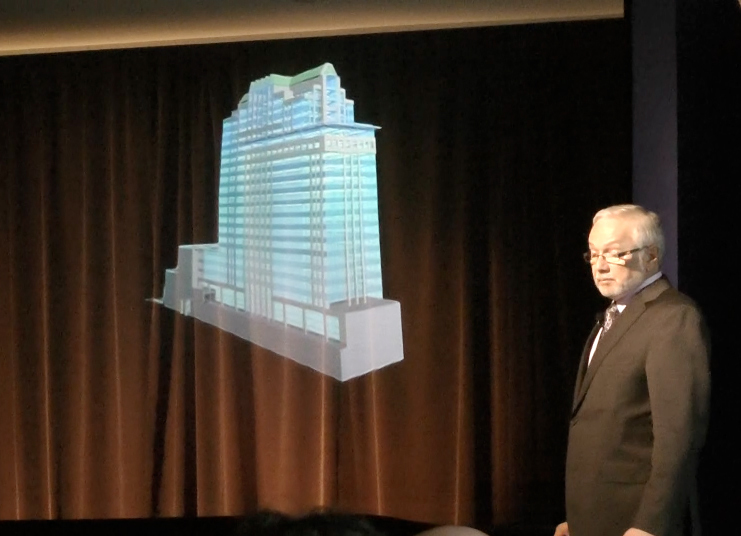 Magician Timothy Drake and Trade Show Holograms recently developed a large scale hologram projection for a corporate real estate press conference. Drake created the illusion of a new building project constructing itself floor by floor as a 3D holographic projection. 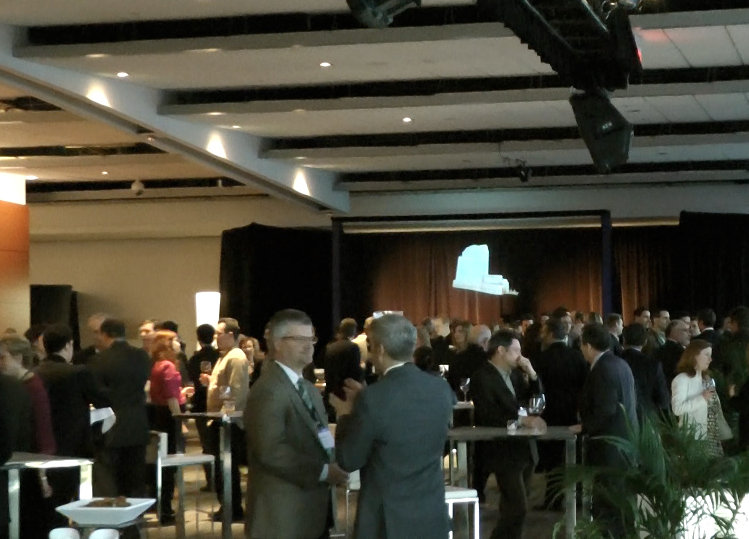 This hologram display can be used to present a large variety of holographic images up to 10 ft wide at trade shows, conventions and live events across North America.